From buy one, get one for 50 percent off to entering customers into random drawings for vacation packages with purchase, retailers are pulling out all the stops to coax patrons through their doors. One way their doing that is with free shipping incentives, a promotion that's fueling commercial trucking demand. Among the consumer buying public, 75 percent expect shipping to come at no cost to them, according to a newly released survey from the National Retail Federation. A year ago, 68 percent indicated as much. Broken down by age group, baby boomers demand free shipping more than any other generation, with 88 percent expecting it, the poll found. This compared to 77 percent among Generation X, 76 percent for Generation Z and 61 percent for millennials. But customers don't necessarily need truckers to deliver their purchased items directly to their doors, convenient though that may be. They're willing to meet them in the middle, picking up online orders at their local stores. Mark Mathews, NRF vice president for research development and industry analysis, said it's important for retailers and motor carriers to coordinate so customers can shop fully satisfied, whether in-store or mobile device. "If we can get their purchase to the store, they'll come pick it up if that's what it takes to avoid a delivery charge," Mathews explained. "And once they're in the store, they are very open to seeing what else the retailer has to offer." From The Home Depot to Target to Walmart, big box retailers offer in-store pickup as another shopping avenue. None of this is possible, though, without the commercial truck industry handling delivery. Motor carriers have a severe shortage of experienced commercial drivers, but companies are sweetening incentives to encourage more people to apply. Walmart is chief among them. 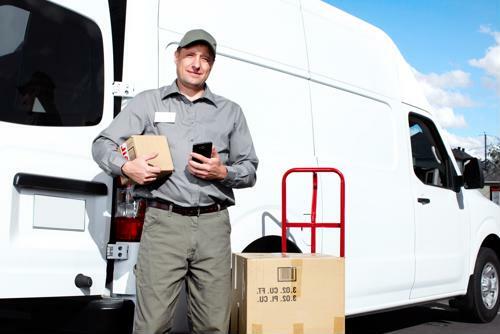 America's largest employer increased its size in 2018 by hiring an additional 1,400 drivers, the company announced recently. It intends to sign on many more over the course of 2019, in part by raising salaries as early as February. This means the average driver will earn an annual salary of approximately $87,500. To be eligible, applicants must have a clean safety record and have at least 30 months of experience in the previous three years, according to the press release. Whatever truckers are delivering, they're poised to be doing plenty more of it in the year ahead, particularly if 2018 is any indication of the future. Indeed, motor carriers hauled 10.7 billion tons of freight in 2017, accounting for more than 70 percent of all domestic freight, according to a year-end report from the American Trucking Associations released this past summer. This allowed the industry to rake in over $700 billion in annual revenue. Carriers will likely use that money to improve efficiencies, thereby delivering orders in as timely a manner as possible. Nearly 40 percent of respondents in the NRF survey said free two-day shipping was something they've come to expect, with 30 percent opting not to buy when this couldn't be guaranteed.